Our Hammer-IMS innovation has been accepted in the ‘Hall of Fame’ of Kunststoffen 2016 in Veldhoven, Netherlands. Come and watch this innovation, and visit the Hammer-IMS stand. The ‘Hall of Fame’ entry of Hammer-IMS plays an essential role in the latest generation of industrial sensors for sheet and film extrusion. It concerns an electronic module developed to process millimeter waves. The use of millimeter waves in sensors for the plastics processing industry allows for reliable measurements of product dimensions. The millimeter wave technology successfully deals with transparent and opaque materials in any color as well as rough and shiny surfaces. Hammer-IMS applies such modules in its Marveloc 602 product range for non-contact thickness and basis-weight measurement. When you look at the picture, note the atypical mounting of the electronic chips and subtle details. 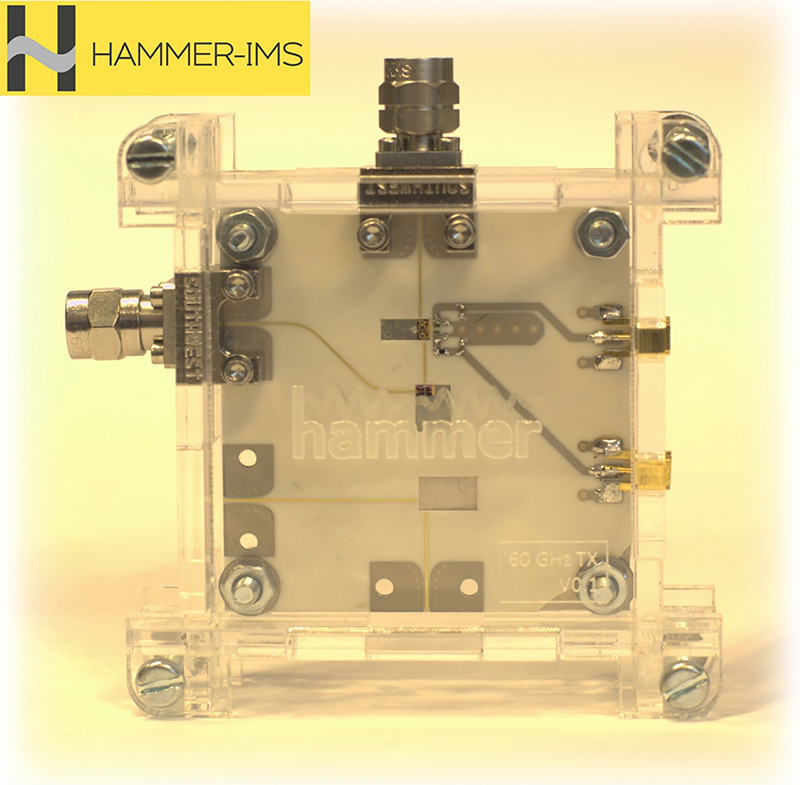 Hammer-IMS is pretty sure that the so-called ‘millimeter wave circuit’ on the picture is the first one you have ever seen. All accepted ‘Hall of Fame’ entries will be on display at Kunststoffen 2016 in Veldhoven. Visit the Hammer-IMS exhibit on the Kunststoffen 2016! We will demonstrate our innovative millimeter waves based measuring solution for non-contact thickness and basis-weight measurement in production lines.